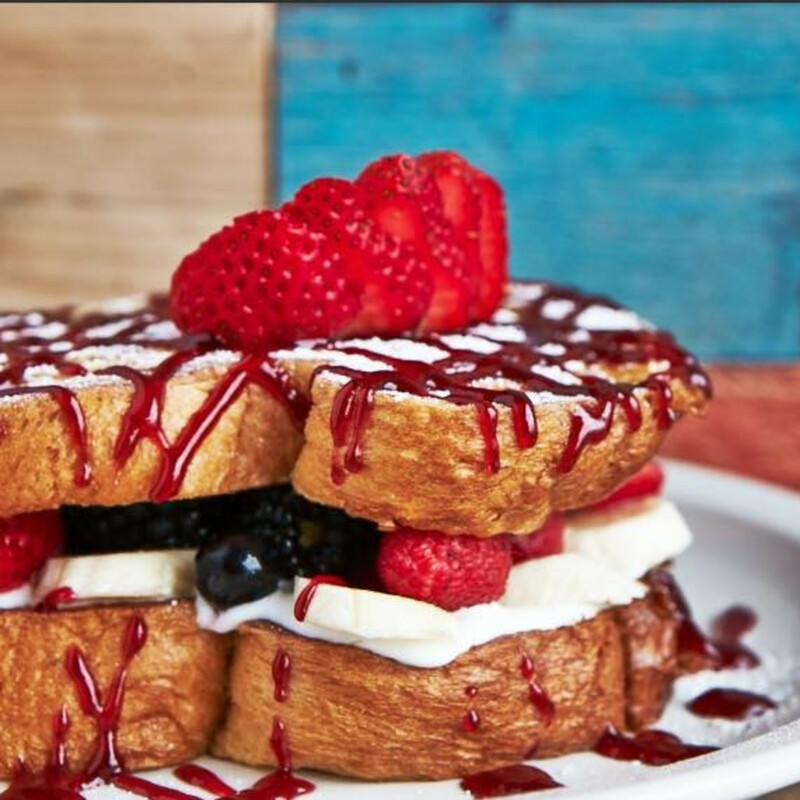 There is breakfast and there is brunch. Brunch is leisure, procrastination, dawdling and mimosas. It's the meal for the morning after, when you try to figure out if you made a terrible mistake last night. Breakfast is all business. It's for people on a mission, who need to meet up or fuel up. Ideally, it can be accomplished in an hour or less, and there had better be coffee. Yet breakfast doesn't have to be punishing. We know you have places to go and things to do, but you might as well enjoy it while you're there. As part of our Best of Everything series, we share our list of the 10 best breakfasts in town. If your office is north of 635 and you have business to do before lunch, you do it at Benedict's. This Addison-adjacent spot is conveniently located, has ample parking and delivers a carafe of coffee to every table; just help yourself. Eggs Benedict would seem to be the obvious pick, and there are 10 options, from filet to goat cheese and mushroom. But the 16 kinds of omelets with spinach, bacon, asparagus and artichoke hearts offer stiff competition. Open Monday-Friday at 6 am and weekends at 6:30 am. This longtime brunch hot spot deserves a nod for serving breakfast daily; even the new location at NorthPark Center opens early to do just that. 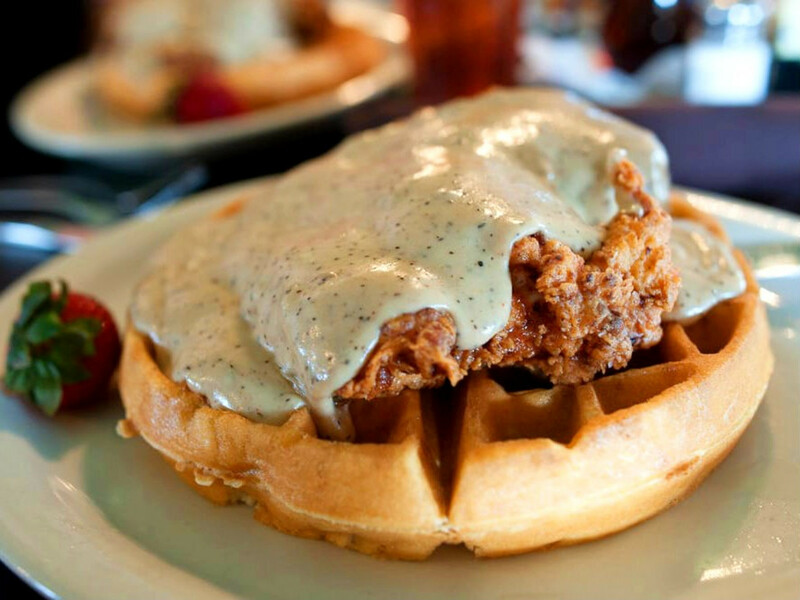 The assortment is arguably the biggest on this list, from oatmeal and granola to scrambles and tacos to the new darling dish on the restaurant scene: chicken and waffles. 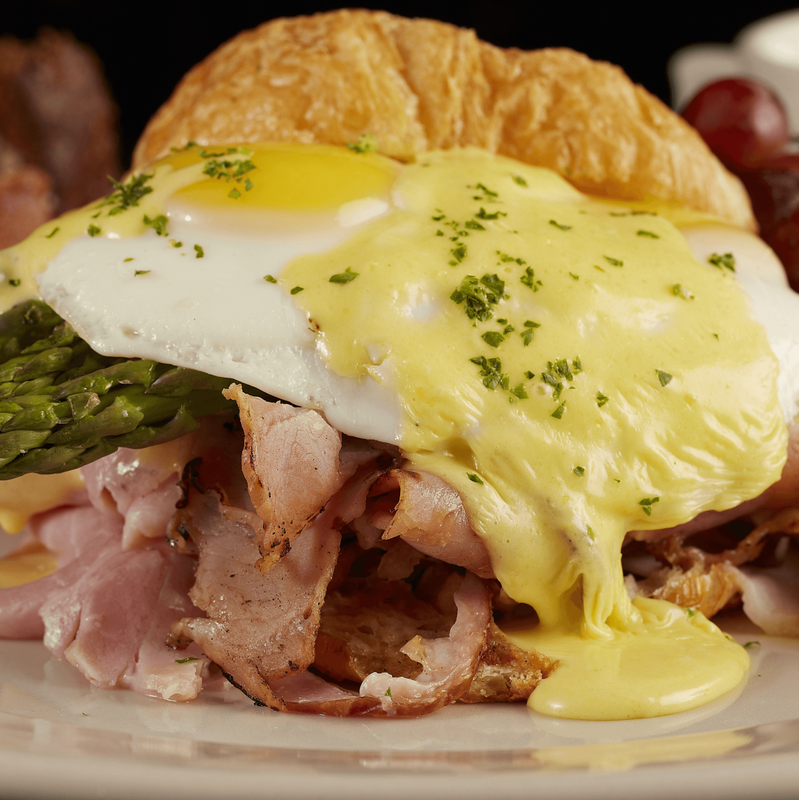 Our old standby is the decadent French ham Benedict with over-easy eggs, asparagus and hollandaise on a croissant. 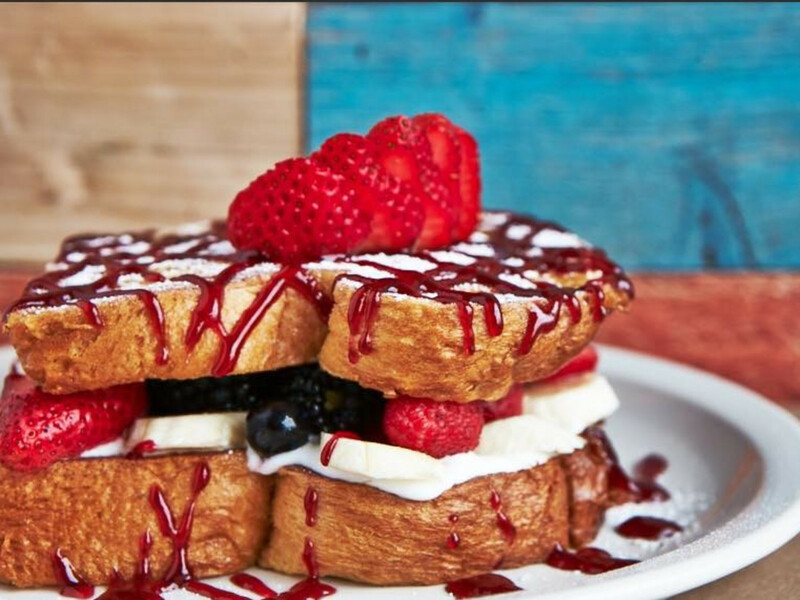 Pancakes and waffles show the same great care as the baked goods for which Bread Winners is famous. Open Monday-Saturday at 7 am and Sunday at 8 am. Crossroads is what happens when a chef, in this case Tom Fleming, decides to do breakfast. The restaurant has a diner ambience, although the food is more home-style. 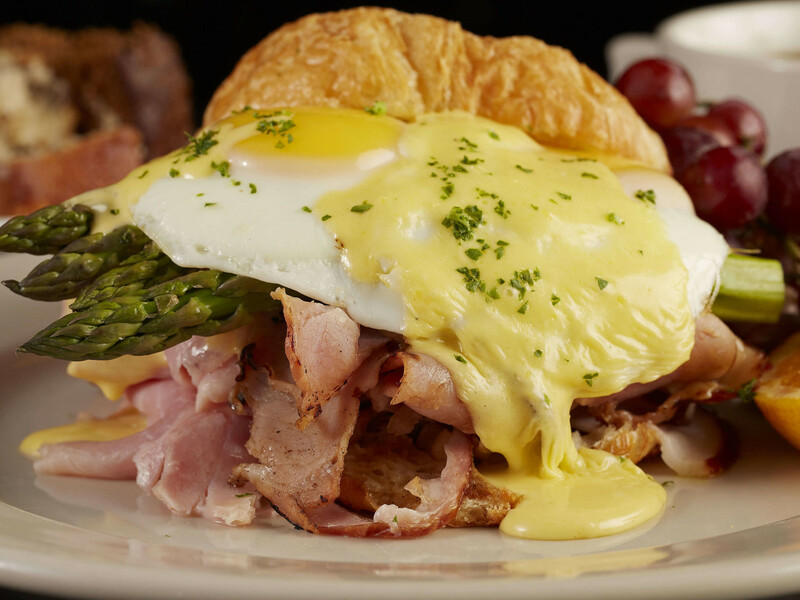 Menu favorites include eggs with house-made corned beef hash, eggs Benedict and French toast. 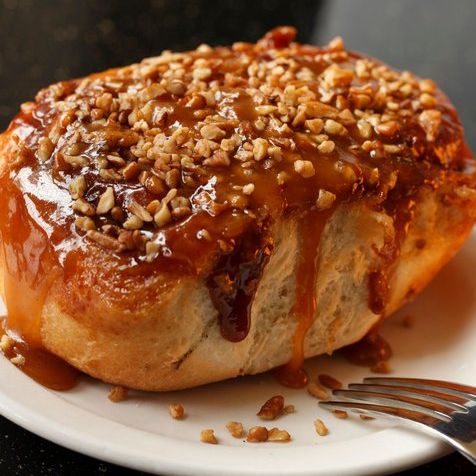 Much is made of the sticky bun — actually a cinnamon roll topped with caramel and nuts — but our picks would be the fluffy and light buttermilk pancakes or flaky house-made quiche. Open Tuesday-Sunday at 7 am. Jonathon's is a bit of an Oak Cliff sleeper. Located in a ramshackle house on Beckley Avenue, it's easy to take for granted. 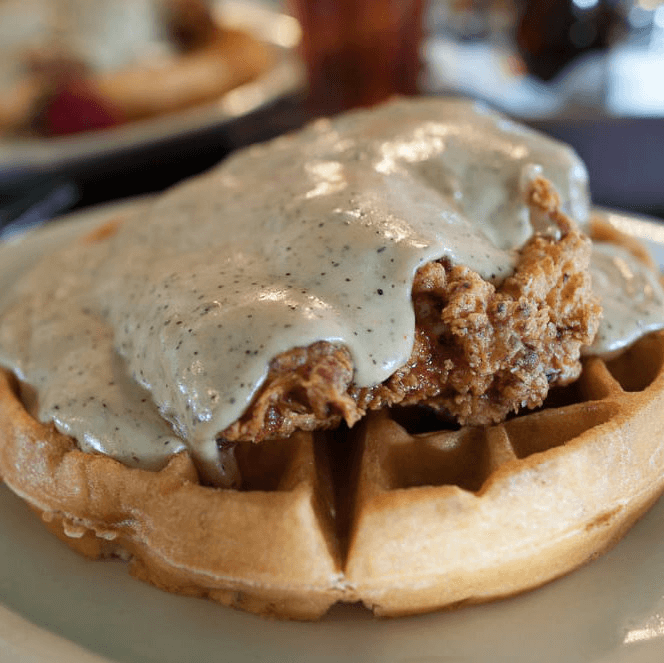 But don't say that to its coterie of devoted fans, who line up for waffles, better-than-homemade biscuits with gravy, and fried-egg sandwiches with wedges of avocado. 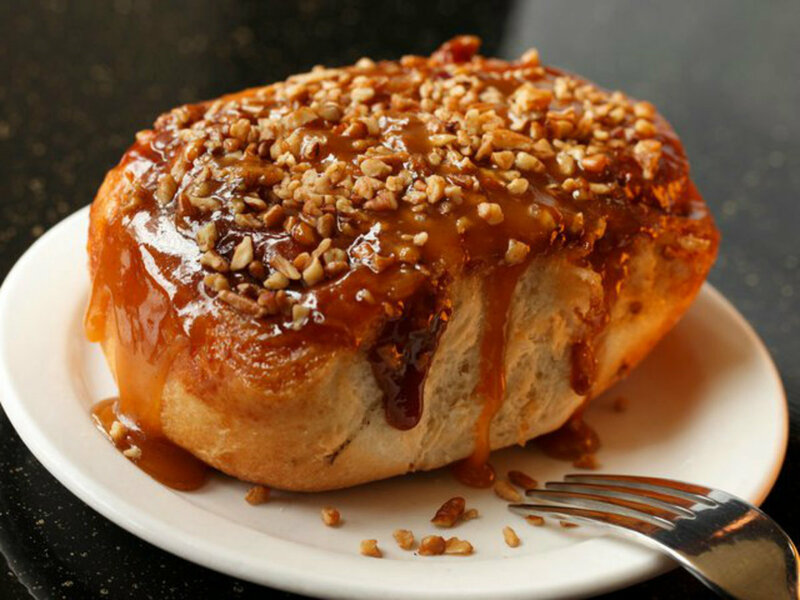 The signature is its daily muffin, in alluring flavors such as pineapple-white-chocolate-macadamia or carrot-apple-cream cheese. Weekend item bubble and squeak — eggs your way served with two potato cakes, greens and zesty pan gravy — is the bomb. Open Tuesday-Friday at 7 am and 8 am on weekends. Closed Monday. Kozy prides itself on the use of organic and local produce, grass-fed meats, and wild-caught seafood. Breakfast is a big deal here, and among our favorites is The Star, an open-face omelet with a heap of quarter-size slices of venison sausage, bits of bacon, farm-fresh squash and spinach, and a smattering of raw cheddar. Open Monday-Friday at 8 am and weekends at 9 am. This authentic German market and restaurant in Snider Plaza has been making sausage since 1961, from recipes handed down for 14 generations. We do breakfast here to get our hands on wursts of all kinds. The eggs are really side dishes for the meat, which could also include a pork chop smoked onsite. Another favorite: homemade potato pancakes with palpable shreds of spud. Open Monday-Saturday at 6 am and Sunday at 9 am. Mecca will never reclaim the "glory" of its days when it resided for decades on Harry Hines Boulevard. That's a good thing, given how dog-eared the old location had become. It's an odd fit in the old Tipperary Inn space; on the flip side, it's far more convenient to the legions in Lakewood who don't mind waiting an hour on weekend mornings for migas; crisp hash browns; and the monster cinnamon roll, big enough for the whole table to split. Open daily at 7 am. 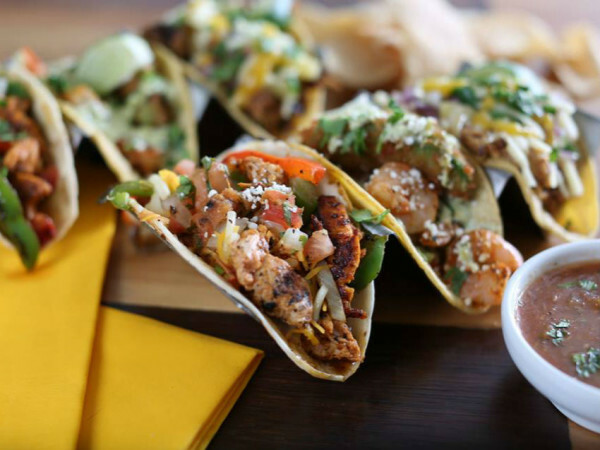 Owner Craig Collins, who also owns nearby Red Hot & Blue BBQ, spreads his wings with this South American concept, inspired by trips he took to South America himself. It's quiet at breakfast, but that's our favorite way to start the day. 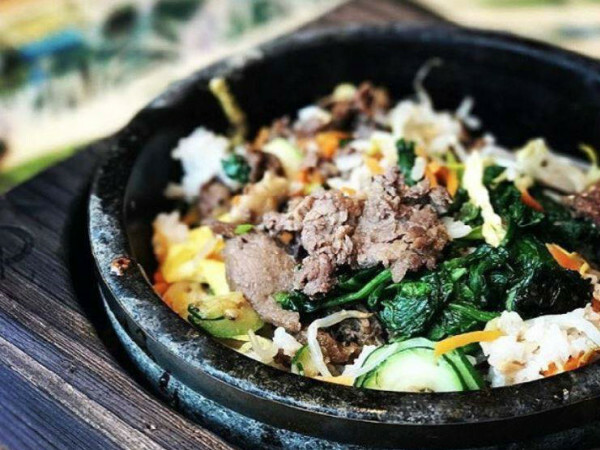 Try an egg wrap stuffed with finely chopped kale and crunchy pepitas; a heartier version has excellent house-made adobado beef stew. A lighter yogurt bowl comes with nonfat Thee Happy Cows yogurt, fresh fruit and a drizzle of honey. 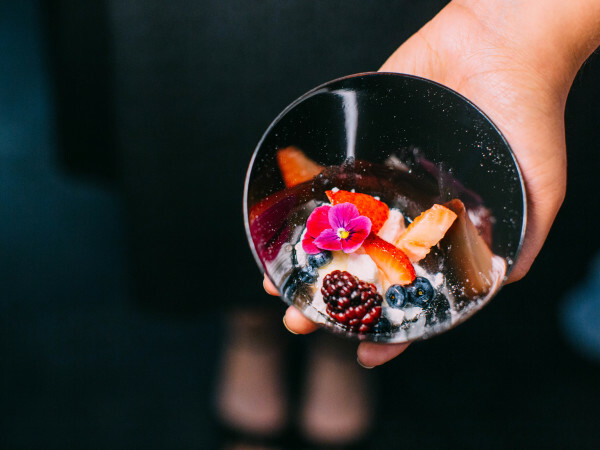 Another standout is the cool and exotic acai bowl with loads of fruit and a garnish of crisped quinoa. Open daily at 6:30 am. This Bishop Arts spot made waves when it first opened for being one of the first in town to acquire a La Marzocco espresso machine. With its tasteful distressed-wood decor and laid-back vibe, it's the perfect coffee stop for the neighborhood. 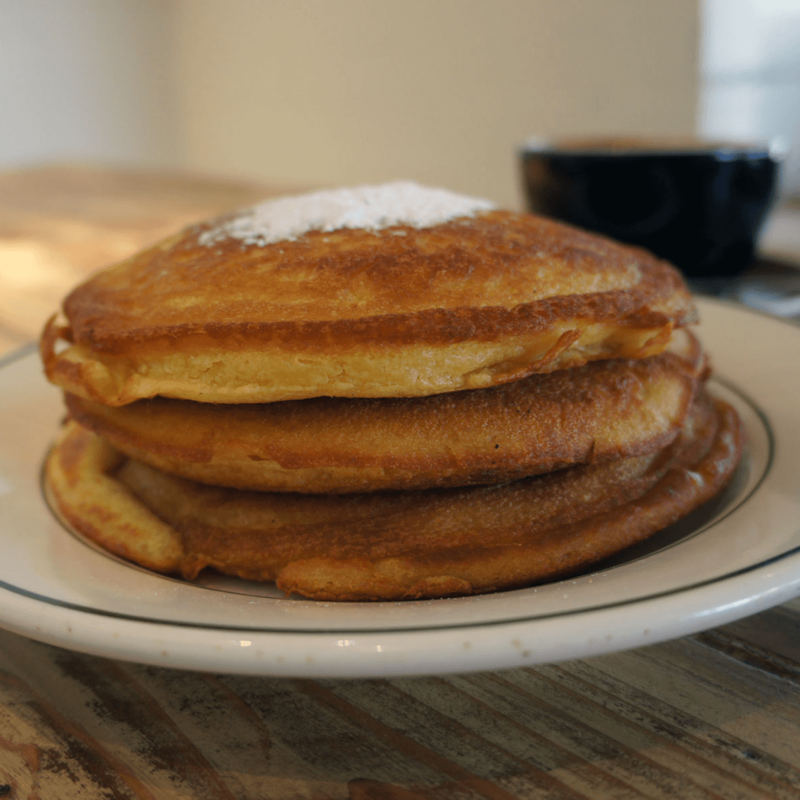 In addition to pancakes cooked in cast iron, breakfast tacos and assorted scrambles, Oddfellows offers something that's hard to find anywhere else: beignets made fresh. Open daily at 7 am. 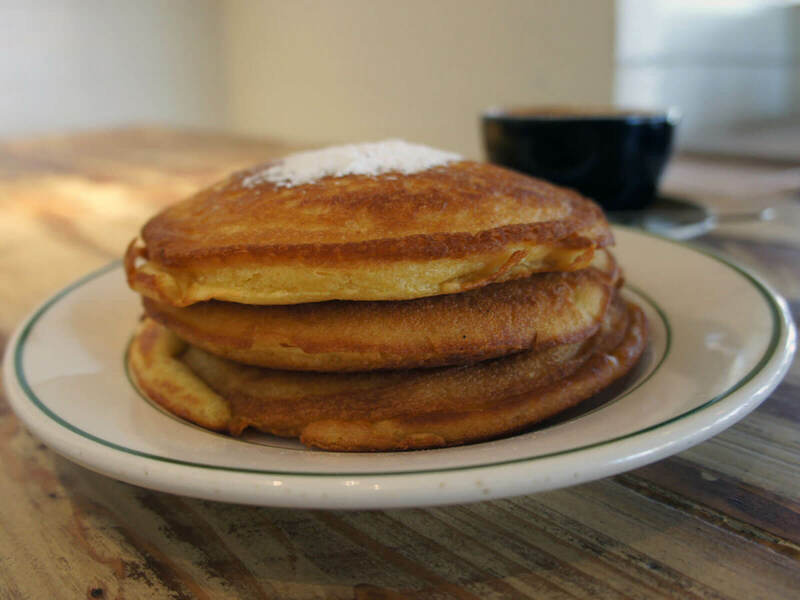 With its chain-like efficiency, the Original Pancake House could hail from Dallas. It was actually founded in Portland, Oregon, in 1953 and retains an old-fashioned aura. Every breakfast staple is here: waffles, omelets, cereal, crepes and hot coffee. But the thing to get is the Dutch baby, a baked egg treat with a marvelous spongy-moist texture. You sprinkle it with powdered sugar and loads of lemons for an experience like no other. Open Monday-Thursday at 6:30 am. For the weekend, it opens Friday at 6:30 am and doesn't close until 9 Sunday night.